Hey, you liberals who flocked to Bernie Sanders in the 2016 primaries, then stayed home from the polls or threw your vote to Jill Stein because you’d become convinced that Hillary Clinton wasn’t progressively pure enough for you … The Russians played you too. Thanks to the 37-page indictment released yesterday from special counsel Robert Mueller, we know conclusively that the Russian operation to undermine Clinton and boost the chances of then-candidate Donald Trump also included pushing pro-Sanders messages in the primaries and seeking to suppress the Democratic vote or steer voters toward third parties, especially Stein, during the general election. Read the excerpts for yourself. 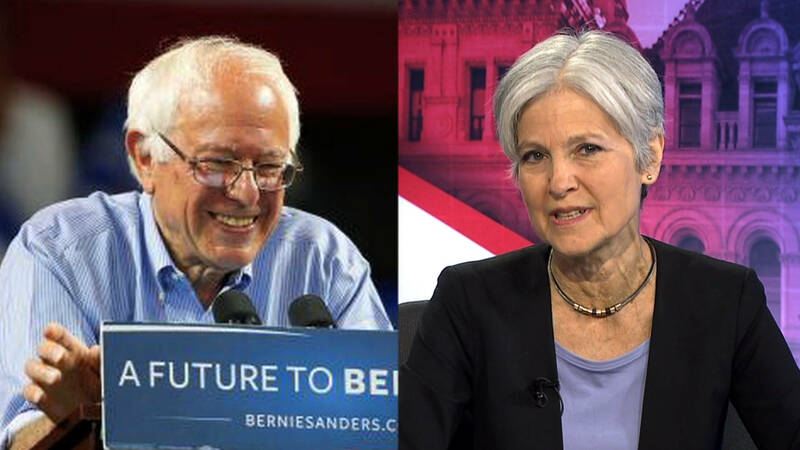 If you think these efforts didn’t affect the outcome of the race, think about this: The number of votes Stein won in Michigan was four times greater than Trump’s margin of victory over Clinton in the state. And without winning Michigan, Trump doesn’t win the White House. The Russian operations on social media were meant to communicate derogatory information about Hillary Clinton and other candidates, including Ted Cruz and Marco Rubio. And they were supposed to support Sanders and Trump. 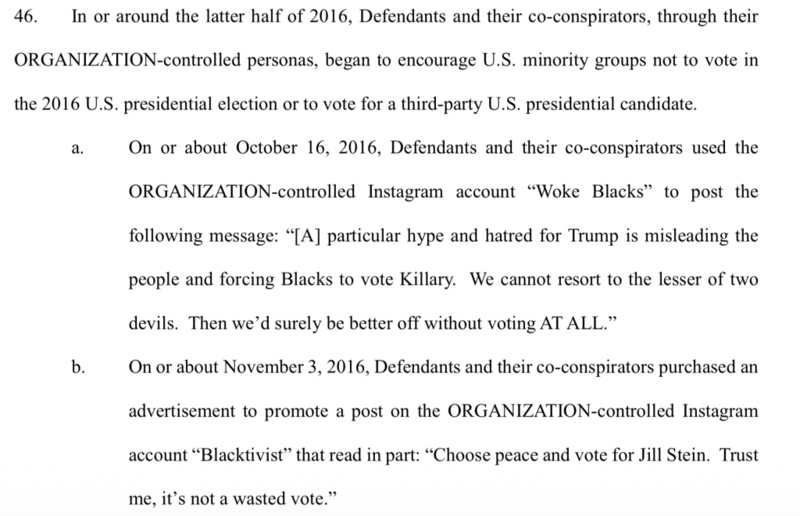 “Use any opportunity to criticize Hillary and the rest (except Sanders and Trump—we support them),” they were directed, according to the indictment. This was because the Russians involved really didn’t like Hillary Clinton. I could see this unfolding in real time on social media as I watched many of my very liberal friends, family, students, and former students become increasingly hostile toward Clinton and alienated from the mainstream of the Democratic Party as they first embraced Sanders and then Stein. They had convinced themselves that there was no substantive difference between Trump and Clinton, and therefore it mattered not whether they “voted their conscience” and cast a ballot for Stein or simply stayed home in protest. And they often justified their decisions by repeating the Russian attacks and talking points flooding social media. In the year and half since the election, many of those same liberals have smugly pointed at the ease with which Republicans, especially the so-called white working class, were manipulated into backing a carnival barker for president. 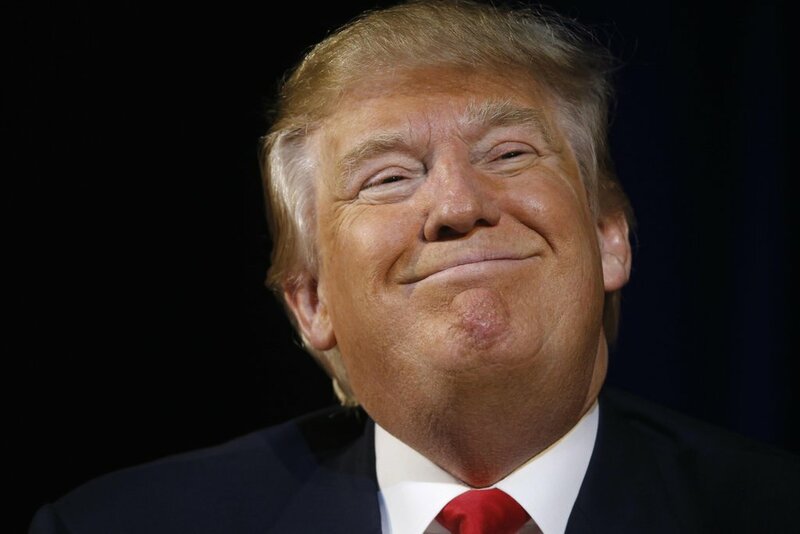 So, liberals, how does it feel knowing that the Russians got you too?